Born on an Ohio farm and orphaned as a teenager. Enlisted in the Union Army during the Civil War. Severely wounded in action and discharged from service. Went to New York and then to Boston to take art lessons. Spent most of his life in Boston and New England area. Trained in lithography and study in Europe. 1872, went abroad for four years. Studied landscape painting at Munich Academy in Germany and figure painting in Paris. 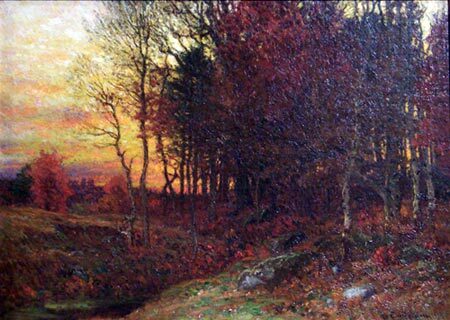 Worked with French landscapists Daubigny and Boudin. Returned to Boston in 1876 and opened a studio. Several painting trips to the White Mountains and became the artist-in-residence at Wilson Cottages and the Iron Mountain House. 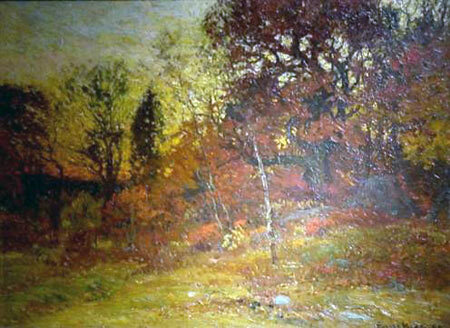 Known for Barbizon and Impressionist styles. 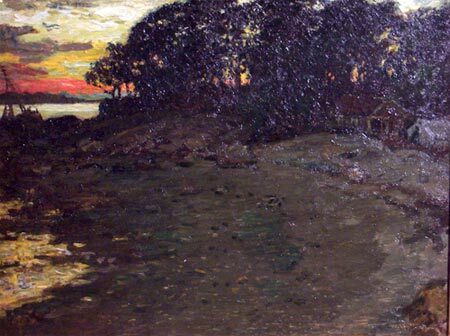 Member: Twentieth Century Club, Pudding stone Club, Hyde Park Historical Society, Boston Art Club, Paint and Clay Club of Boston and the Boston Guild of Artists. Exhibited: Massachusetts Charitable Mechanics Association, Boston (medals); Paris Expo, 1900 (prize); Pan-Am Expo in Buffalo, 1901 (medal); Pan-Pacific Expo in San Francisco, 1915 (gold). In the collection of: Worcester Museum; Boston Museum of Fine Art; Bridgewater State College; Santa Barbara Museum of Art; Mark Twain Memorial, CT; New Britain Museum of American Art, CT; Butler Institute of American Art, OH; Chrysler Museum at Norfolk, VA; Washington University, Seattle; Timken Museum of Art, San Diego; Portland Museum of art, ME; William a. Farnsworth Library and Art Museum, Rockland, ME; Old Gaol Museum, ME; Amherst College, MA; Museum of Fine arts, MA; Massachusetts Historical Society; George Walter Vincent Smith Art Museum; MA; Wellesley College; Detroit Institute of Arts; Colby college; Holyoke Museum; Columbus Museum, GA.